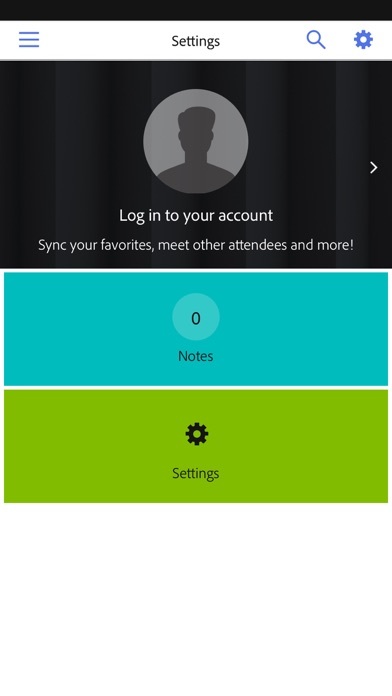 Introducing the Summit 2019 App! Getting ready to come to Summit? 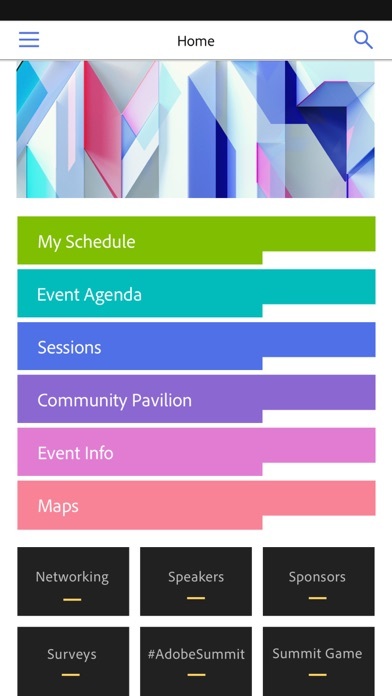 Before you set off for Las Vegas, be sure to download the Summit App to stay connected during the conference. 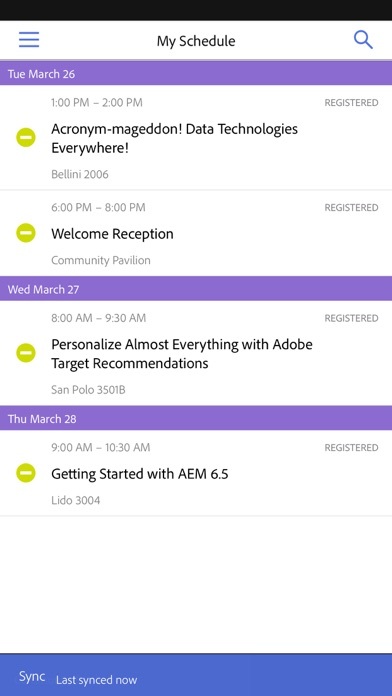 The Summit App gives you scheduling access to Summit sessions and hands-on labs, up-to-date conference announcements, venue maps, social feeds, session surveys, and you’ll be able to play the Summit Game. Download this free app today. For details on Summit − The Digital Experience Conference visit http://summit.adobe.com/ Apple is not involved in any way with the Summit Game contest or sweepstakes. I can’t open the app. It crashes upon load. 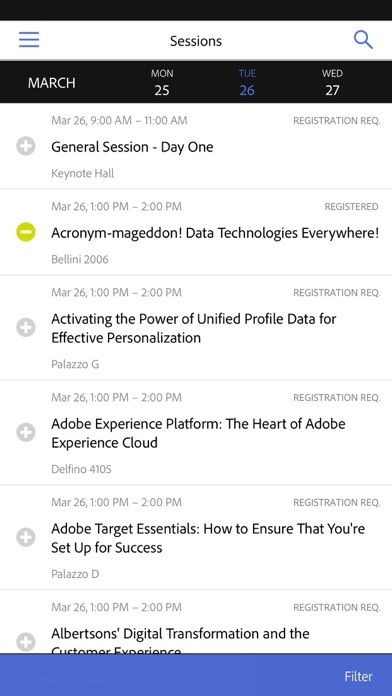 My primary reason for using this app is to have somewhere to track all the sessions I want to attend in one place. It seems like the app is supposed to do that, with the ability to search for and add individual sessions to quote my agenda." But it doesn't work. I can search for the session, and if I click on the "add" icon, nothing happens, other than a "cancel" option popping up. Hope you guys fix this app before the summit starts in a couple of days.